Celebrate your wonderful Christening with food your guests will love. We are able to offer Catering Services for your Christening event, be it before or after the service, at home or the after-service venue. 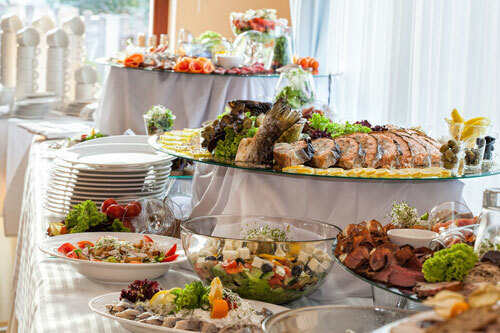 Perhaps you are looking for a hot or cold buffet, a themed event, or a BBQ feast. You can be rest assured that our Professional Chefs will personally discuss your requirements and provide a tailored menu for your function. Our emphasis is on providing a quality catering experience and all our food is prepared from our ‘5 Star’ Hygiene Rated Commercial Kitchen. Please feel free to contact us and our Professional Chefs will be happy to discuss all your requirements! Rated 5/5 based on 7 reviews.